Adobe says the new cloud is the largest independent advertising platform that does not have direct ownership in media or content – adding there are “no media markups” and transparent fees ensure that its incentives are always aligned with advertisers. Brands can pull their first party data into the cloud and Adobe says it will appeal to both brands and agencies. It’s taken Adobe just three months after the official completion of the TubeMogul deal to formally embed the San Francisco-headquartered firm into the offering and remove all signs of TubeMogul logos, merchandise and job titles. The quick turnaround and military precision with ‘Adobifying’ the new business is not new for Adobe, having made many acquisitions over the last few years - with community engagement platform Livefyre being the penultimate buy. TubeMogul founder Brett Wilson, who is now vice president and general manager of Advertising at Adobe, says the Advertising Cloud unifies and streamlines the entire ad planning and buying process. Now available globally (in Australia at the same time), the cloud is made up of three Adobe Media Optimizer (AMO) offerings: search management platform AMO Search; a demand side platform (TubeMogul) that automates display, social, video and programmatic TV buying called AMO Demand Side Platform, and AMO Dynamic Creative Optimization (DCO), which ties dynamic creative optimisation into the Creative Cloud. 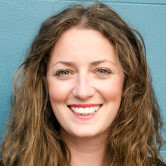 “With Adobe Advertising Cloud, brands can centralise all advertising planning and buying through one trusted platform with full transparency into exactly where their ads appear and how effective they are at driving meaningful business results,” Wilson says. Adobe, which goes up against the likes of Oracle, Marketo and Salesforce on the marketing cloud front, says advertisers are facing an increasingly complex and fragmented landscape, with legacy silos for media planning and buying across TV and digital. It says that coupled with the proliferation of devices and massive amounts of data have made the advertising process overwhelming. The advertising cloud also includes ‘cross-channel planning, media activation, performance without compromise, independence and creative’. 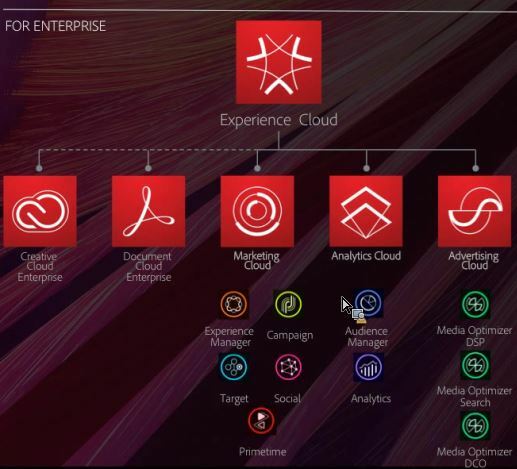 Also at the summit, Adobe nailed its flag to the “experience” post, by launching its Adobe Experience Cloud – the umbrella cloud that sits above the rest of its offerings across marketing, advertising, analytics and experience. It also leverages Adobe Sensei’s machine learning and artificial intelligence capabilities. 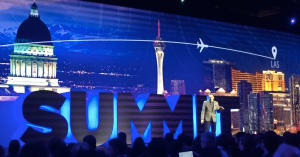 Adobe says the huge amounts of data, the proliferation of devices and sky rocketing customer expectations are forcing enterprises to rethink their customer experience in order to be personal, be consistent, be elegant and be everywhere. It says companies that meet these requirements will forge stronger connections with their customers, resulting in brand loyalty and growth and that forward-looking enterprises already know that a great customer experience is the differentiator that separates market leaders from the pack. Executive vice president and general manager of digital marketing at Adobe, Brad Rencher says: “An exceptional experience is the most important step in a long-term relationship with a customer and requires deep intelligence and amazing design. AdNews is attending the Adobe Summit as a guest of Adobe. Adobe has revealed its plans for the recent TubeMogul aquisition by combining the company's capabilities with its in-house products to create an “industry first” cloud product. It claims to manage the whole advertising journey – from search to traditional linear TV. The TubeMogul name will be retired and the new platform will be known as the Adobe Advertising Cloud. It claims to be the first end-to-end platform for managing advertising across traditional TV and digital formats. 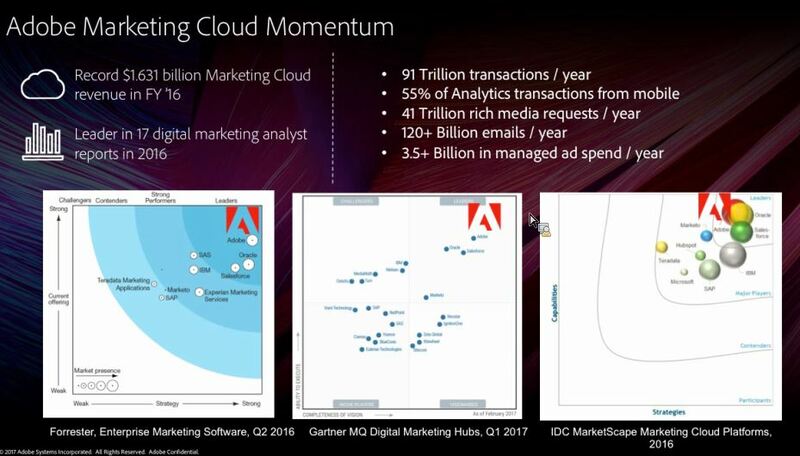 Not content with being one of the dominating forces on the marketing cloud scene – with its own Adobe Marketing Cloud pulling in a record US$1.631 billion in revenue in the 2016 financial year, Adobe says the Advertising Cloud already manages nearly US$3.5 billion in annualised ad spend on behalf of more than 1,000 global clients. These include L’Oréal, MGM, Ford, Johnson & Johnson, Kraft, Liberty Mutual, Nickelodeon, Allstate, and Southwest Airlines.